This edited volume is unique in the way that it is more than a collection of presentations held at a big Northern Social Science conference. In Histories from the North the reader can also find out how the contributions by different top northern scholars were discussed by the approximately 150 participants from all over the North and also several other regions of our planet. 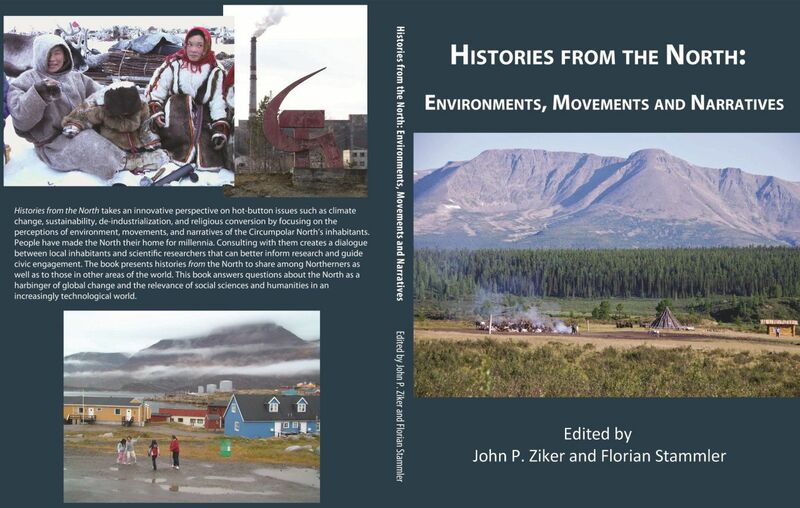 Histories from the North takes an innovative perspective on hot-button issues such as climate change, sustainability, de-industrialization, and religious conversion, by focusing on the perceptions of environment, movements, and narratives of the Circumpolar North’s inhabitants. People have made the North their home for millennia. Consulting with them and their history creates a dialogue between local inhabitants and scientific researchers that can better inform research and guide civic engagement. The book presents histories from the North to share among Northerners and Northern researchers, as well as to offer potential lessons for those in other regions of the world. This book answers questions about the North as a harbinger of global change and the relevance of social sciences and humanities in an increasingly technological world. As a proceedings volume, the book gives also a good overview of the topics and some of the results generated from the so far largest international northern social science and humanities research programme, BOREAS, which ran from 2006-2010 under the umbrella of the European Science Foundation with prominent participation of the US National Science Foundation and Canada’s SSRC. All participants of the BOREAS final conferences in Rovaniemi will get a copy of the book to their address as given to the conference organisers. If you are interested in more copies, please contact fstammle(at)ulapland.fi if you are in Europe, and jziker(at)boisestate.edu if you are elsewhere in the world. This entry was posted in All, Announcements, Publications, Theoretical Issues and tagged Anthropology of the North, circumpolar North, indigenous peoples. Bookmark the permalink.